The City of Jackson continues work under the Water System Facility Plan Implementation Project – Group 1C, Project 1. The City’s contractor, Jokerst, Inc., of Ste. Genevieve, Missouri, will soon be starting a water distribution line replacement project on East Madison and East Monroe Street, which will result in a temporary road closure during construction. A temporary road closure has been issued for East Madison Street and East Monroe Street between South High Street and South Hope Street. Starting on Monday, October 22, at 7:00 A.M., this section of roadway will be closed to traffic. Residents and business owners within this area will still have access to their property and buildings, however all other citizens are asked to avoid this area during construction. This temporary road closure is expected to last for three weeks, weather pending, or until all construction work in this area has been completed. Signs will be posted notifying motorists of the work are and the designated detour routes. Motorists and pedestrians should use extreme caution near and around work zones and are asked to avoid this area if at all possible. 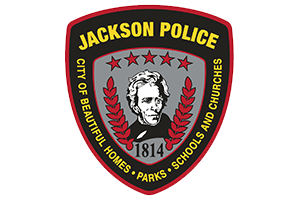 The City of Jackson continues working hard to improve the roads and utilities for the citizens and businesses and city officials thank everyone for their continued patience during this construction. For more information, contact the Public Works Department at 573-243-2300, visit us online at jacksonmo.org, or connect with us on Facebook.